Blackbaud’s Advanced Wealth Solutions are designed to help mission-driven organizations improve prospect research by giving them tools to better understand and segment their constituents and potential donors. 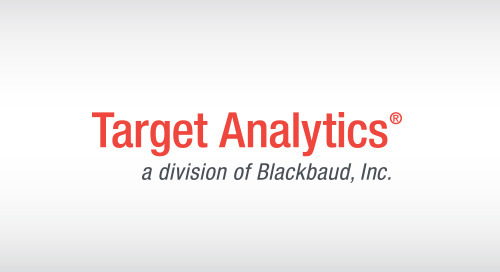 Blackbaud’s analytics platforms enhance client giving data with national giving data and hundreds of wealth and demographic attributes to model and predict a prospect’s likelihood to give. With Advanced Wealth Solutions, fundraising consultants and training go beyond the data and the numbers to ensure that the insights are applied correctly and that an organization has all the knowledge and support needed to optimize its investment. Want to learn more about what our fundraising solutions have to offer?